OptiBiotix Health Plc., a leading life sciences company focused on harnessing the power of human microbiome modulation to improve health and wellbeing, has announced the launch of its revolutionary new cholesterol management product range CholBiome®. 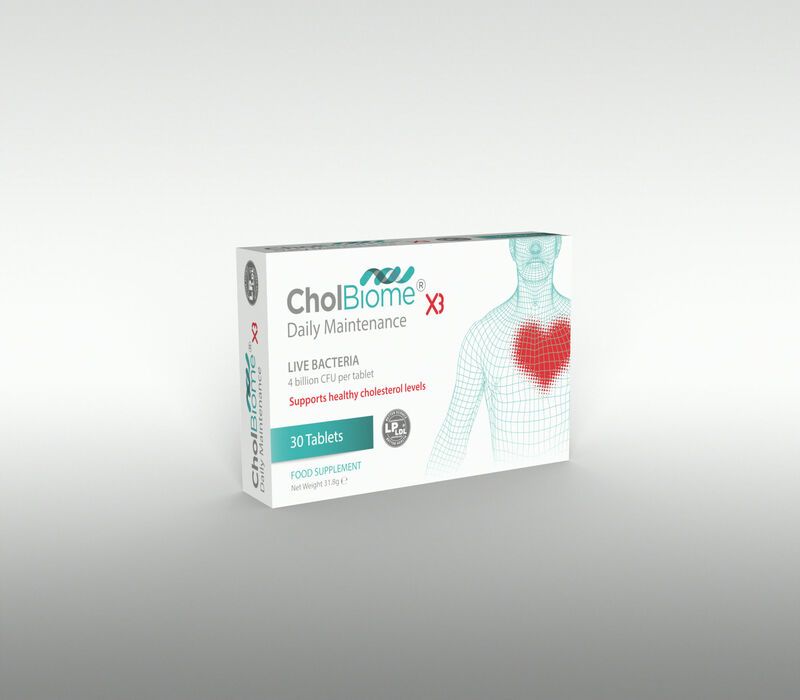 The CholBiome range of supplements provides a scientifically-backed, natural solution for people wishing to pro-actively reduce and manage cholesterol, reduce blood pressure and promote heart wellness. CholBiome products harness the power of OptiBiotix’s patented probiotic Lactobacillus plantarum, LPLDL®, which has been found not only to reduce ‘bad’ LDL cholesterol but also to boost ‘good’ HDL cholesterol. Unlike statins, which are often used to treat high cholesterol, LPLDL results in no known side effects. CholBiome products will be available for purchase from the company’s new online store, OptiBiotix.Online. The first release in the CholBiome range of products, CholBiomeX3®, is now available for pre-order. Combining three key natural ingredients – OptiBiotix’s patented LPLDL probiotic, Vitamin B3 and red yeast rice rich in Monacolin K – CholBiomeX3 helps to reduce cholesterol levels, promote heart wellness and reduce blood pressure. Taken once a day, CholBiomeX3 also provides the added benefit of a more diverse microbiome, leading to a healthier gut.